With thousands of tools available to marketers, choosing the right fit can feel overwhelming. 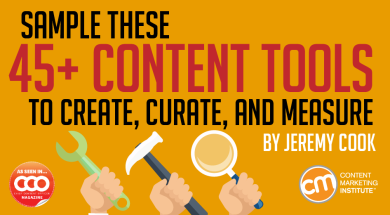 Here’s a sampling of content creation solutions to get your search started. We’ve divided it into three sections: create, curate, and measure. ClearVoice helps you plan, recruit, produce, and measure your content’s effectiveness in one place. Use it to recruit talent through its influencer search tool, which has over 258,000 authors indexed. ClearVoice curates talent as a service or handles your content marketing strategy from the ground up. 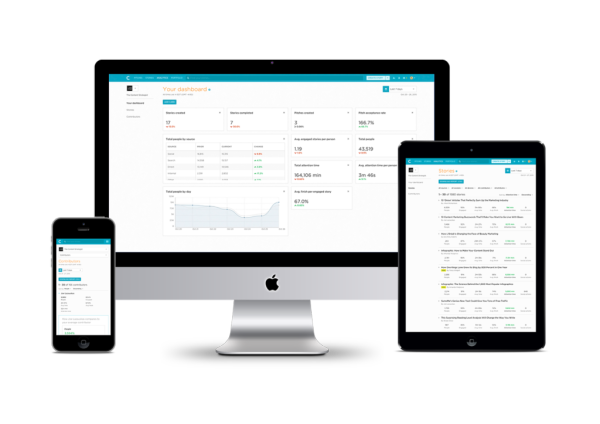 Content Launch was designed with SMBs in mind (meaning it’s affordable for smaller businesses), but also offers premium features for enterprise clients. The application lets you plan, create, launch, promote, and measure any type of content using six integrated modules — consult, create, collaborate, calendar, promote, and measure. 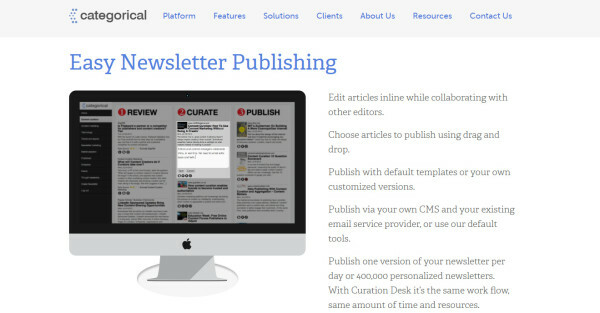 Content Launch also offers complete workflow tools and distribution to 15 content platforms. Contently is committed to storytelling, and offers marketers both the technology and creative talent to create premium original content at scale. The platform pulls from a network of 50,000-plus professional freelancers and offers tools for marketers to plan, create, approve, and distribute content — plus it offers proprietary analytics to ensure that your content is reaching the right people and driving action. CrowdSource serves up writers, editors, and moderators for brands needing to scale their content marketing efforts. The company helps brands produce content on fast turnarounds — all with a focus on cost management. 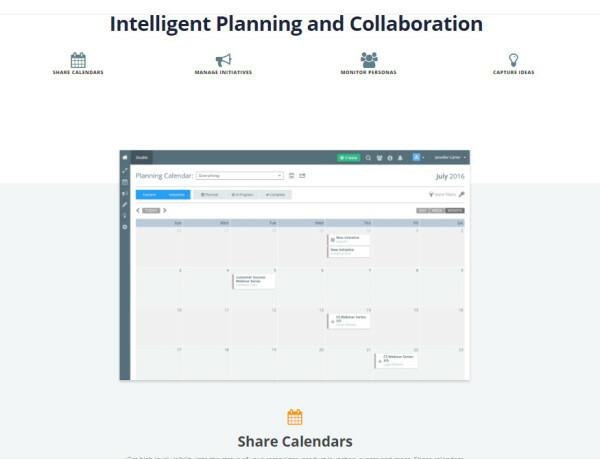 DivvyHQ is a content planning and workflow tool — helping teams manage editorial calendars and stay on task. The platform allows collaborators to review and approve content easily and quickly; it not only manages workflow for blog content, but also the full range of content assets — from social media micro-content to videos, webinars, photos, and email campaigns. 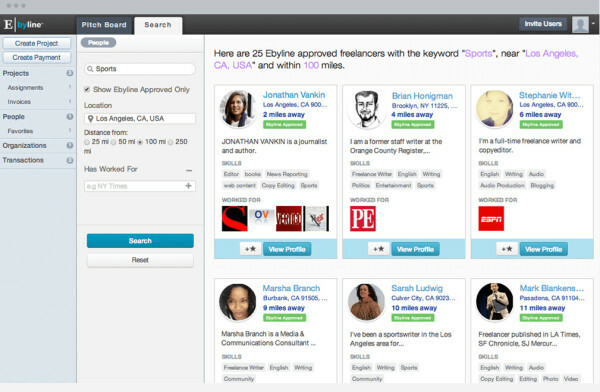 Ebyline matches you with content creators, lets you assign stories or receive pitches from freelancers, and lets you pay them through the platform. For enterprise needs, Ebyline assigns a dedicated content strategist to manage the process for you. 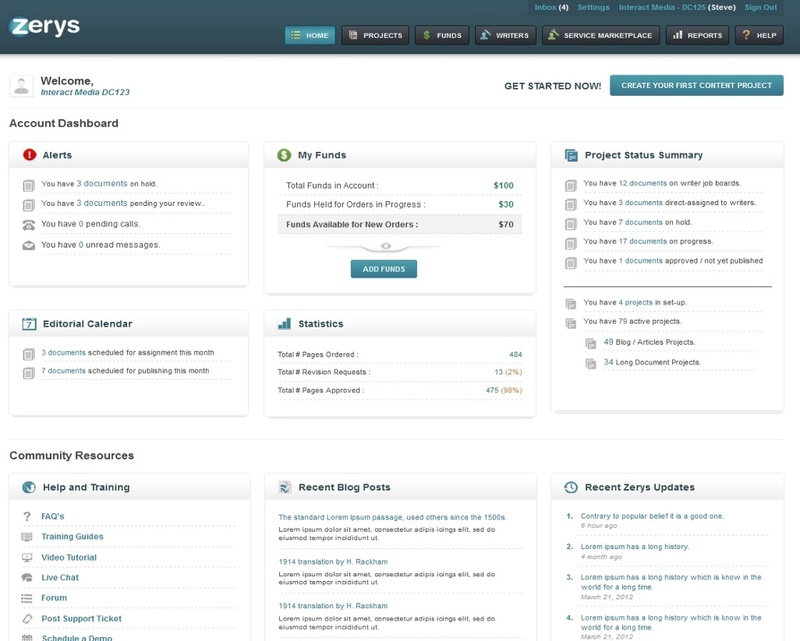 Designed specifically for web content, GatherContent lets organizations plan, manage, and store content for web projects. Use GatherContent to populate a new microsite by mapping your site architecture on the platform and filling in all the required content assets before the site goes live — a great tool for brand/agency relationships collaborating to develop new assets. 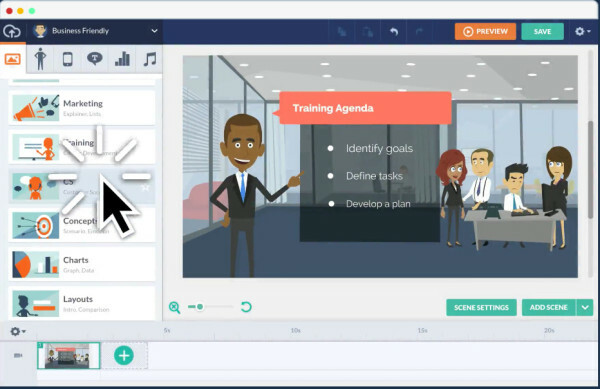 GoAnimate lets you create animated video using simple drag-and-drop tools. The platform automatically syncs your narration to the animated figures on screen. Use its animation libraries with tens of thousands of assets representing hundreds of industries and occupations, or import your own audio, image, video, and flash files. 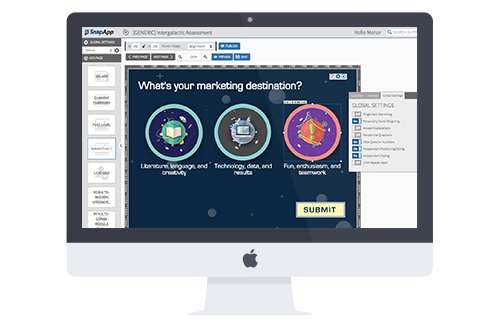 ion interactive helps marketers produce interactive content using ion’s assessments, quizzes, configurators, lookbooks, calculators, and more — a great way to differentiate your brand and increase engagement. All of ion’s creative, interactive experiences can be produced and tested without the use of developers. Kapost supports your entire content life cycle, from planning and execution to distribution and optimization. 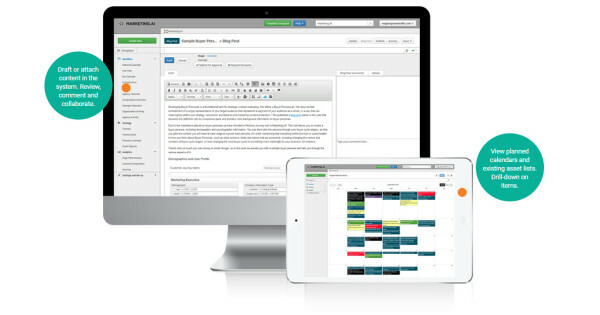 Persona and buying-stage tools ensure that you are producing content for each stage of your buyers’ journey, plus Kapost offers editorial calendars and automated workflow management tools, a visual library for storing and sharing assets, and insights that track every aspect of your content process — from production metrics to performance across all channels and buying stages. Use it to organize multiasset, multichannel programs under a single initiative and to measure return. Marketing.AI gives you tools to strategize (e.g., plan your themes, buyer personas, and customer journeys), oversee workflow (e.g., build an editorial calendar, see team’s production schedule, and assign, draft, approve and publish) and track analytics (e.g., view performance and impact, and connect marketing strategy to marketing results). Marketing.AI also includes content strategy tools, such as allowing you to attach metadata and audit/organize your content assets into a single source of record. NewsCred’s software provides brands with a single platform to streamline the entire marketing process from audience insights, content recommendations, and brand compliance, to social publishing, distribution, and analytics. In one place, gain access to licensed content from 5,000 leading publishers, original bespoke content from content creators, and user-generated content from fans. 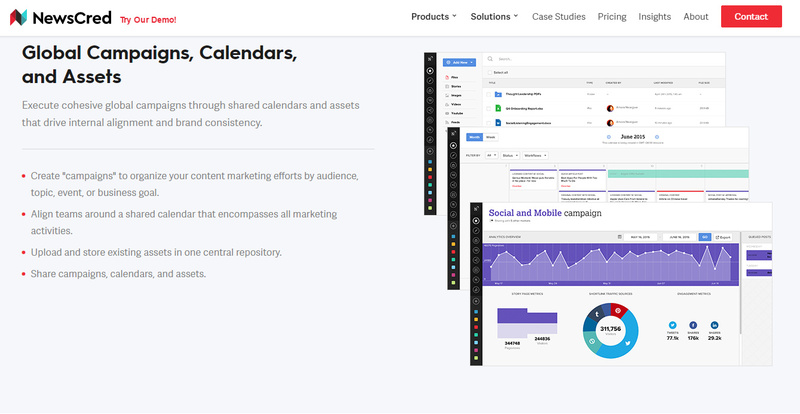 NewsCred’s software also offers collaboration tools, such as an editorial calendar, custom workflows, asset management, social listening, and governance. Brands use NextWorks to produce, package, and distribute video content across channels. A production team helps you create everything from influencer interviews and testimonials to instructional videos and media events. Then use the platform to package and distribute your video assets. And NextWorks’ Content Capsule technology is a content syndication solution, letting you embed microsite experiences across digital channels. 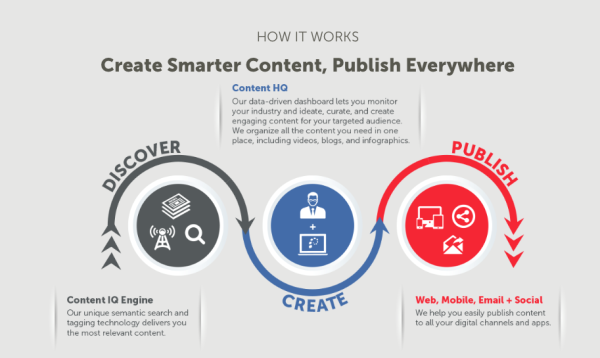 An end-to-end content marketing platform, PulsePoint helps you create content with its writer network, distribute content across channels (its proprietary contextual and audience targeting technology helps get your content in front of the audience you want, across any screen), and offers extensive performance and engagement metrics. PulsePoint also offers a programmatic platform to help your brand reach maximum impact — whether large scale or niche targeting. 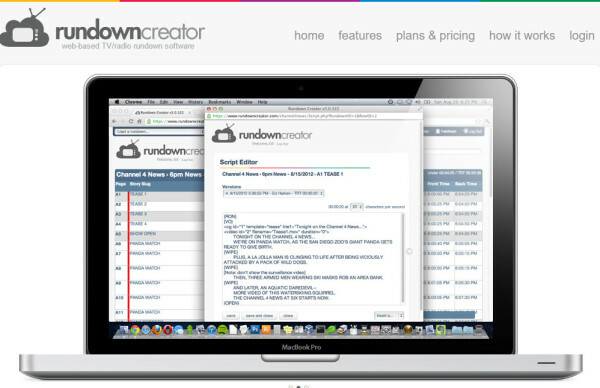 Rundown takes a newsroom approach to content marketing — meaning speed is at the heart of everything it designs: auto-updating content calendars, collaboration tools to turn pitches into stories quickly, and analytics dashboards to see how well your content has performed. 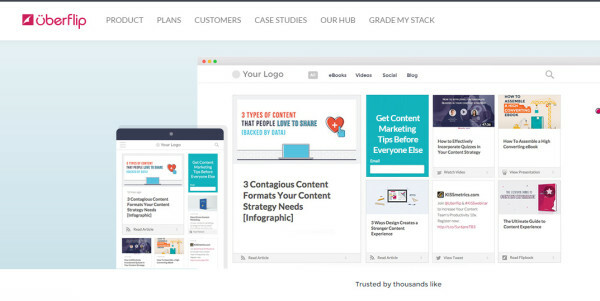 It claims to be a tool designed for your most important asset: your content creators. 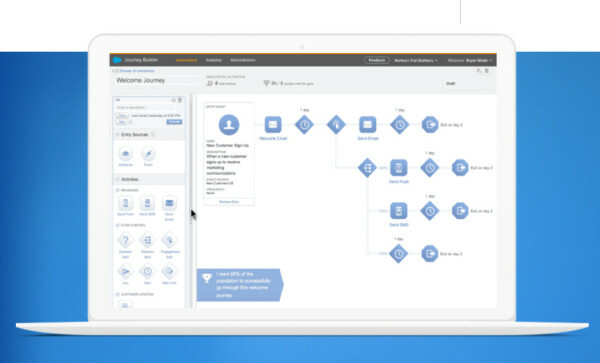 While Marketing Cloud is a larger, end-to-end marketing automation and analytics platform, it includes a content strategy and content creation tool kit. Manage and track content across all your digital channels from a single location. Assign tags, campaign associations, and owners to your content, and then use quick search functionality to track it down. The content editor feature lets you design and build intelligent content with “drag-and-drop smart content blocks” and mobile-optimized templates. 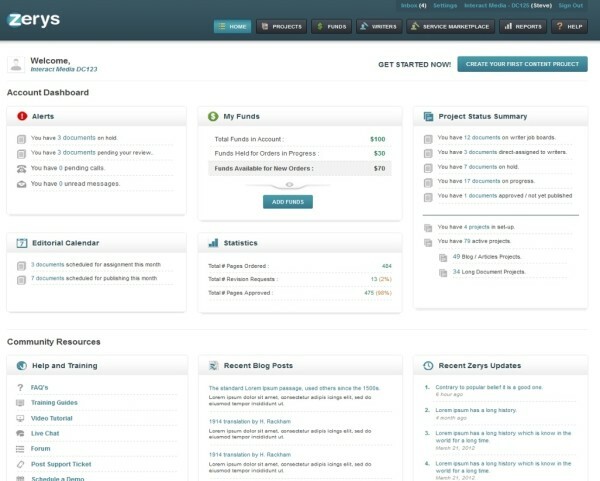 ScribbleLive lets you plan, create, distribute, and optimize your content marketing in one place. Publish articles and blog posts, create social walls, host Q&A sessions, and run live chats. Add social content to your articles, posts, and streams manually or automatically. Engage your audience with polls, slideshows, surveys, and forms. Scripted offers turnkey content assets for brands. Buy a blog post, white paper, article, or even social messages — all with transparent pricing for each format. For enterprise, it offers a managed service subscription with a dedicated account manager and more specialized content. Skyword connects marketers to writers, videographers, photographers, and graphic artists around the world. Search for content creators by social influence, language, and topic, among many other categories. 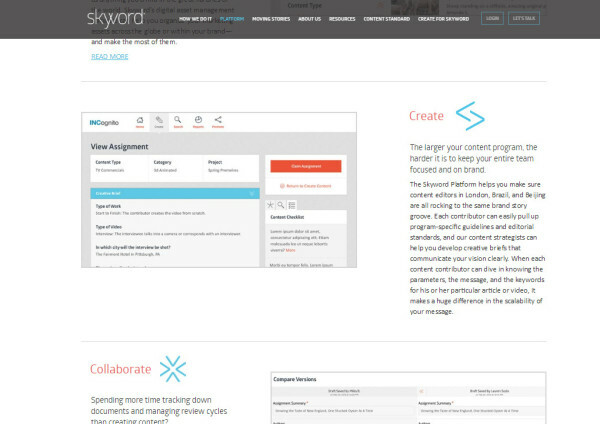 And Skyword offers a platform to manage creators as well as the assets they produce on your behalf. Research trends and keywords, assign projects, review and approve assignments, optimize content for search, prep it for social sharing, and distribute automatically to your branded channels. 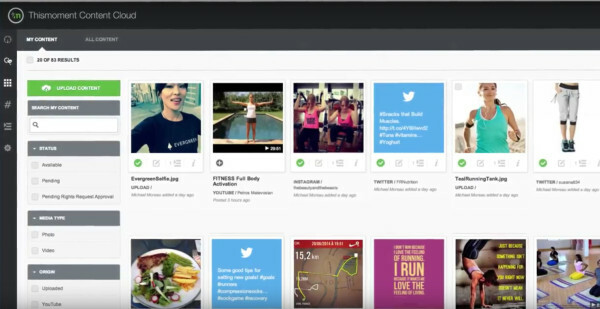 SnapApp helps content marketers create interactive content. It offers custom templates such as personality tests, knowledge tests, calculators, polls, and contests. And SnapApp provides tools to help with the entire process, from workflow management and lead scoring to analytics. 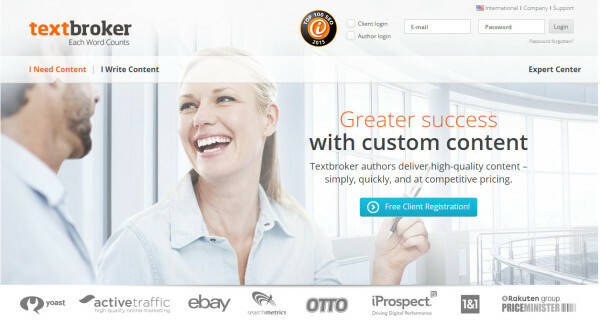 Hire writers through Textbroker to produce blog posts, product descriptions, or technical content. Use Textbroker to order content from native speakers (up to 10 languages). 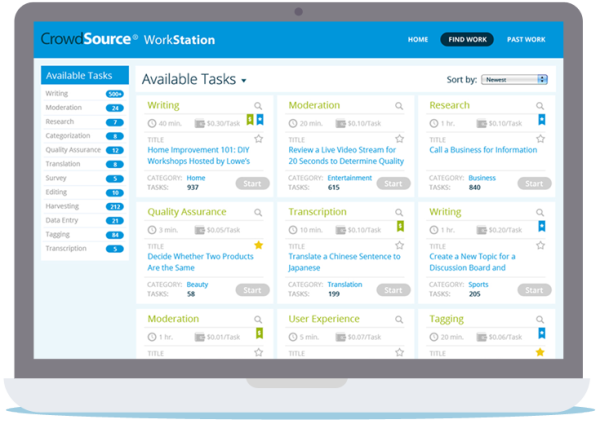 It offers a self-service plan (you choose writers and interact with them directly) or managed service (you specify the topic and Textbroker delivers the final product). Widen is best known for its digital asset management technology, but it also offers workflow and digital content production for creative teams. Use its Media Collective to bring together your images, videos, and creative files in one scalable solution. 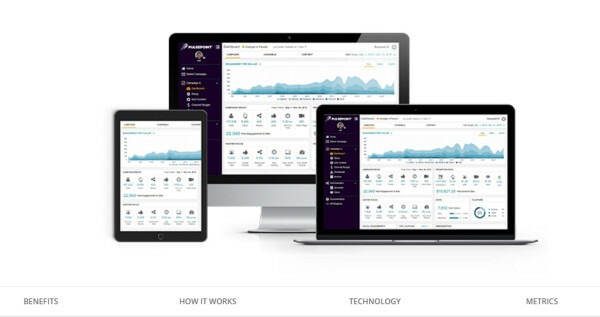 Upload, download, find, share, and analyze your visual content anytime, anywhere, on any device. A marketplace for writers, WriterAccess connects you to U.S.-based writers with specific skill sets, and if you’re not completely satisfied with the end product, you don’t pay. 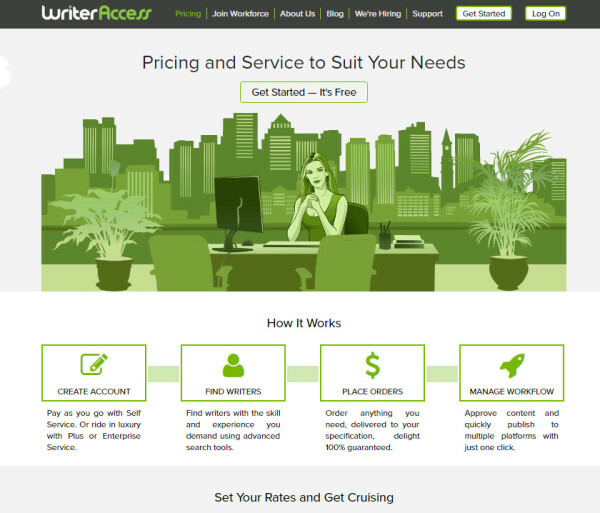 The company uses a price scale for writers — with higher-priced writers producing more complex, nuanced assignments. A writer marketplace, Zerys lets you plan your content strategy step by step using tools like a content strategy guide, editorial calendar, and keyword searches. Then use Zerys to build your virtual team of professional writers and only pay if you’re satisfied. Choose custom content asset templates and workflow types to ensure that your writer stays within the parameters you define. Atomic Reach publishes a number of content-related apps. 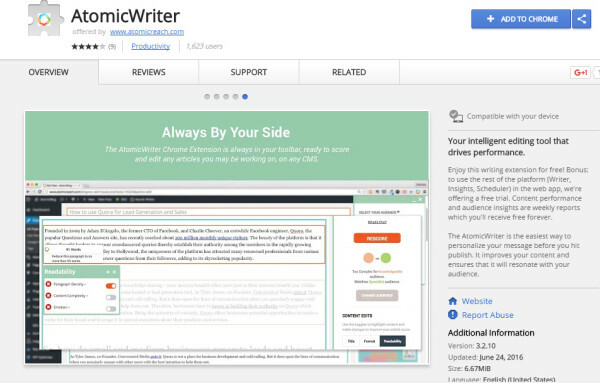 AtomicWriter is a Google Chrome extension that personalizes your message before you hit publish; it measures things like readability, language, and engagement. A social media curation platform, Bazaarvoice curates a wealth of social media content and then displays it on your website. Use Bazaarvoice’s professional moderators to oversee the feed and ensure that it’s on target. Categorical’s curation solution is called Curation Desk; it makes it easier to find relevant web content, manage, and curate the content, and publish it to the web and e-newsletters. Set up your categories and key phrases in the platform, then Curation Desk finds relevant content and pulls articles into your dashboard. From there, publish directly to your feeds or annotate it. Curata provides software that enables marketers to scale their data-driven, content marketing supply chain to grow leads and revenue. Curata CMP (content marketing platform) and Curata CCS (content curation software) allow marketers to harness the power of content creation, curation, and analytics to yield a predictable and more successful stream of content. 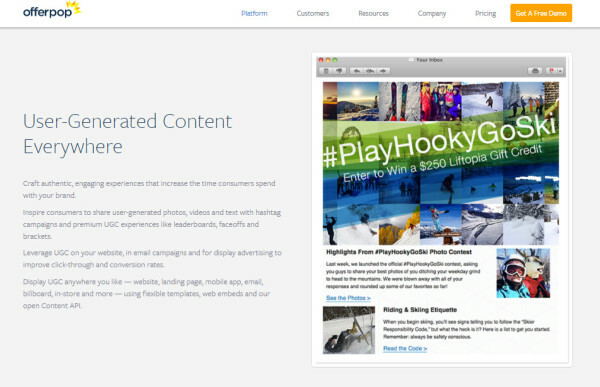 Offerpop’s content creation service focuses on managing user-generated content. 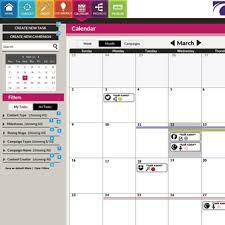 Its software allows you to manage content rights, display the content, then point users to a product page. 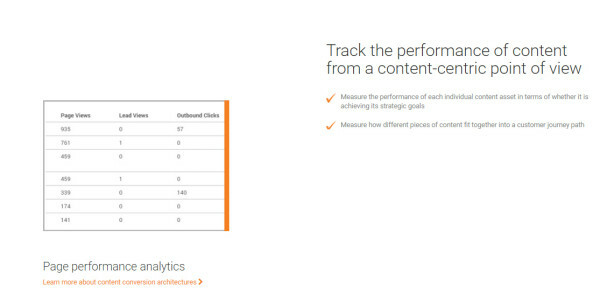 Finally, it allows you to track how well your content is performing. Offerpop Campaigns allow you to “create social experiences,” such as contests and quizzes via social media. It also offers services to take care of these campaigns for you if that best suits your company’s needs. 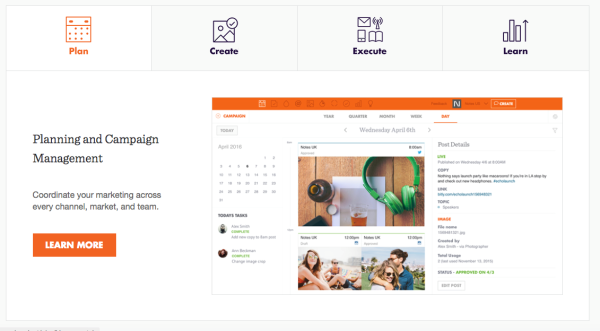 Percolate offers a suite of marketing tools to coordinate marketing activities across teams. Percolate’s Content Marketplace helps manage complex content workflows: Create, review, and approve content in real time, even from a mobile device. Percolate’s Asset Manager offers a single storage destination for all your marketing images, videos, and other files. A real-time curation platform, PublishThis lets you monitor conversations online and curate content from top sources and influential voices in your industry then add original commentary and establish yourself as a trusted authority. The solution also helps you to recycle your existing content and publish it alongside newly curated content. Rock The Deadline is a content marketing suite that helps you discover interesting content and trends to fuel curation, create your own content (including hiring writers and editors), manage your content production workflow, and publish to all your channels. The platforms let you create role-specific access privileges (ensuring that you can control who sees proprietary information) and offers a great tool to crowdsource content for email newsletters. 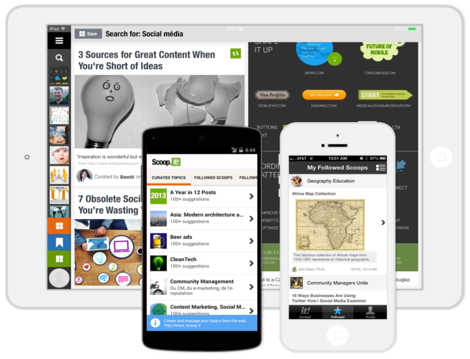 With Scoop.it, discover great content, pull in what’s relevant and add your own commentary and context, then publish it to your social networks and blog. 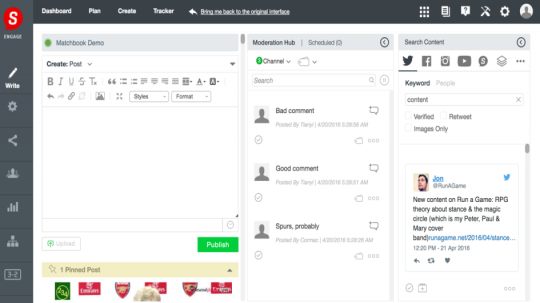 ScribbleLive is a full-feature content creation suite, which includes social curation tools. Use it to publish articles and blog posts, create social walls, host Q&A sessions, and run live chats. Also use it to add social content to your articles, posts, and streams manually or automatically. A content creation and publishing platform for social, Spredfast helps you discover the topics that matter to your audience, develop a plan, engage with the right content, amplify conversations with targeted paid units, and measure it all in one spot. thismoment promises to make content creation simpler through Content Cloud. Source content and set up rules to monitor key phrases online, then manage rights to use third-party content for your own purposes. After the content is secured, tools are available to manage, distribute, and measure it. thismoment’s API developers can create custom solutions. Uberflip lets you create a content hub where all kinds of content can be viewed without leaving the marketer’s domain. 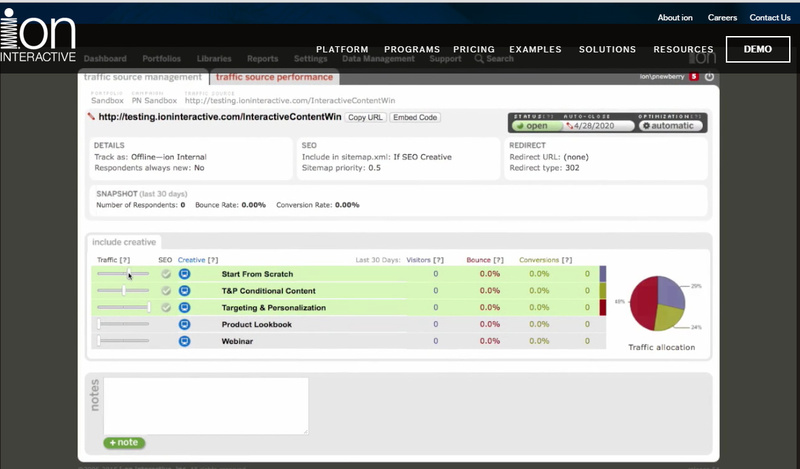 From the curator’s perspective, this allows for more control and the ability to track what a potential customer sees. 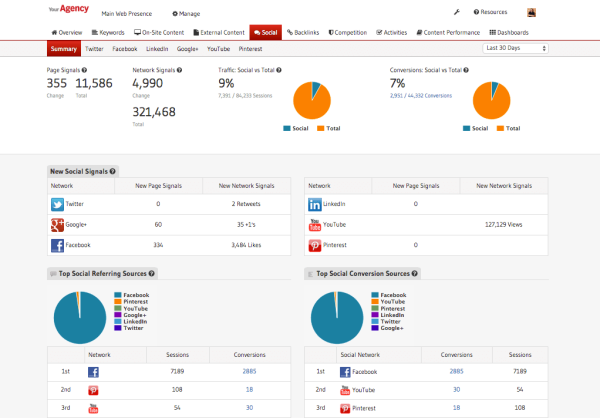 With its tools, content ROI is entirely in your hands. Once deployed, your results can be tracked and improved since everything takes place on your domain. Akoonu helps organizations focus on the buyer journey. Use Akoonu to build rich personas through market research and customer interviews; uncover key themes, trends, and psychographics for your personas; connect that research to your existing CRM and marketing automation platform to uncover key insights; share information across sales, marketing, and product development. 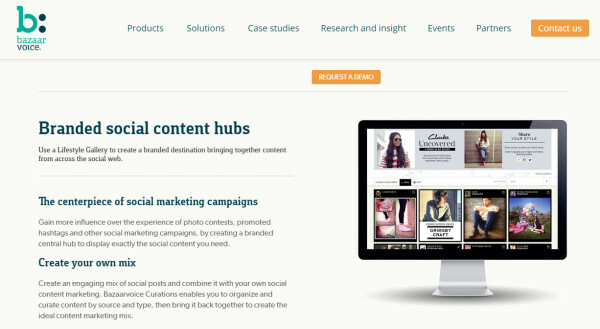 Akoonu aims to provide focus and direction in a content-saturated market. Atomic Reach publishes a number of content-related apps, including Atomic Measures — which helps you improve your content by providing feedback in three important categories: body, audience, and language. 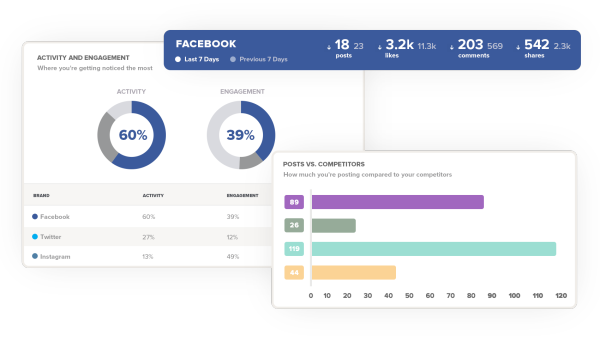 Use CommandPost to optimize your content and engagement strategies, gain a deeper understanding of your audiences, quantify and benchmark your understanding of your audiences, and translate social data into actionable insights. gShift can tell you how your content or competitor’s content is performing. Use it to optimize your content for search and social, and create a custom reporting package to pull out the insights you need to run your business. Marketing.AI is a content creation suite that, among other things, tracks analytics for content creators. See how well your content is performing at each stage of the buyer journey and measure how different pieces of content fit together into a customer journey path. Started as an SEO consulting company in 2004, Moz launched its pro SEO tool set in 2007, and integrated social analytics in 2011. 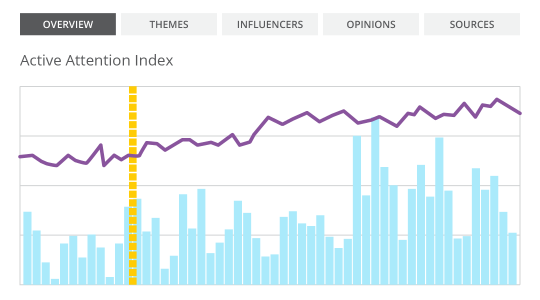 Moz Pro lets you analyze and track how well your content is performing, and improve how your content is seen and ranked by search engines. Think of it as a complete SEO tool set that presents findings in an actionable format. 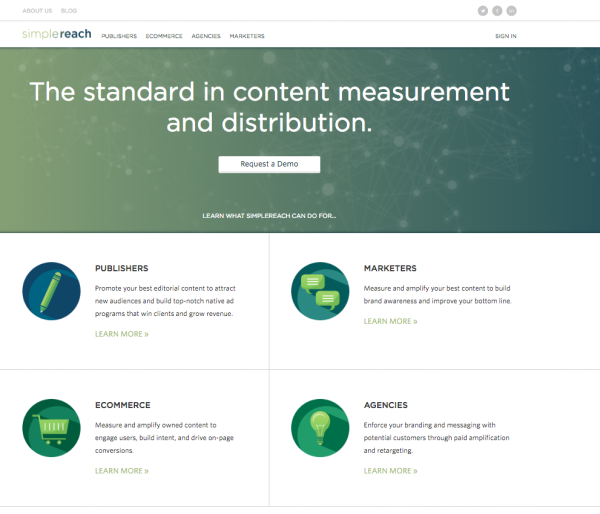 SimpleReach bridges the gap between measurement and distribution. A universal dashboard shows real-time performance of all your content and native ads across owned and third-party partner sites in a single place. Its Predictive Score identifies which content will drive the most social traffic so you know which content to promote. Historical reports help you learn which content works best on each channel to optimize content strategy for your current and future media plans. 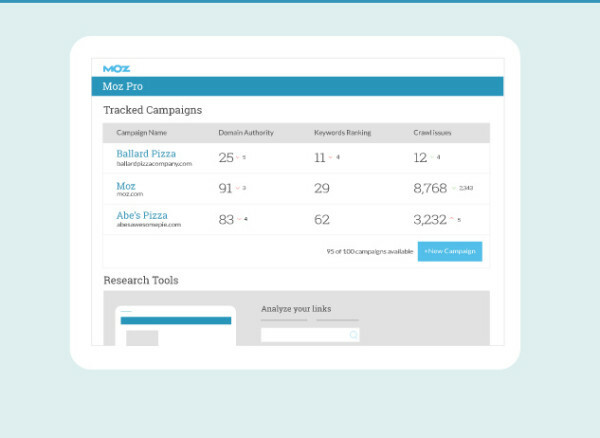 TrackMaven bills its software as competitive intelligence for digital marketers. Track how well your content is doing day to day, and compare how you are doing versus a specific competitor or a benchmark group of competitors. Comparisons are based on factors including traffic, search authority, and social media attention. Please note: No one post can provide all relevant tools in the space. Feel free to include additional tools in the comments (from your company or ones that you have used). This article originally appeared in the June issue of Chief Content Officer. Sign up to receive your free subscription to our bimonthly, print magazine. Jeremy S. Cook is a freelance tech journalist and engineering consultant with over 10 years of factory automation experience. An avid maker, experimenter, and fan of diverse types of technology, you can follow his exploits on Twitter @JeremySCook.